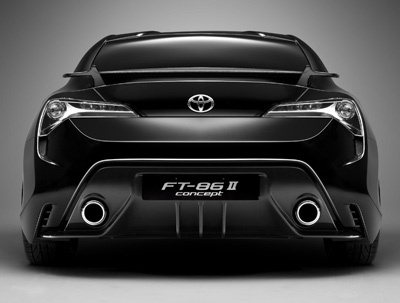 At the 2009 Tokyo Motor Show Toyota unveiled the first FT-86 concept. Two years later, at the 2011 Geneva Motor Show, the next generation came along. The Toyota FT-86 II shares a lot with the 2009 car - namely the chassis, drivetrain and majority of the body panels and windows - however there are a number of more subtle changes which give the FT-86 II a slightly more aggressive character. First of all the lights, both front and rear, have been modified. Up front there are also additional LED driving lights integrated within the lines of the bumper. The main grille has been widened and deepened, and a small lip spoiler has been added. Not much has changed down the sides of the car except for the addition of small vents just behind and above the front wheel arches. 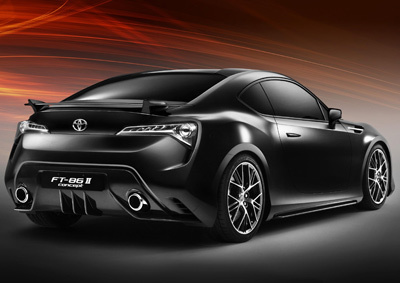 At the rear of the Toyota FT-86 II there is a new rear spoiler, new taillights which mirror the shape of the headlights, and a revised rear bumper with integral air diffuser. 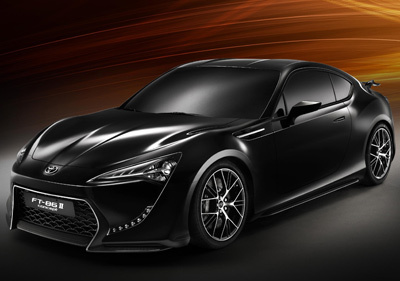 Rather than using a heavy, large displacement engine to secure performance, the FT86 II features a free-revving boxer-configuration petrol engine with a compact and lightweight six-speed manual transmission. 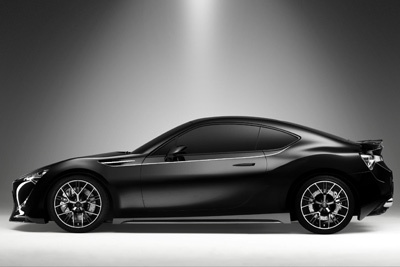 Both the powertrain and the driving position of the FT-86 II have been set as low and as far back as possible to optimize balance for maximum poise, high-speed stability and agility. With a front-engine/rear-wheel drive layout, the FT86 II is designed to offer lively, accessible performance that is easy to exploit. 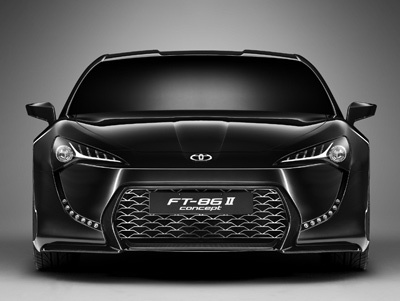 The Toyota FT-86 II Concept is the latest stage in the development of a new, compact rear-wheel drive sports car that is being jointly developed by Toyota and Subaru. The new model will start hitting the showrooms sometime in 2012.